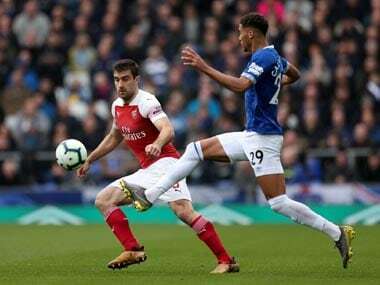 London: Arsenal defender Sokratis Papastathopoulos bemoaned his team's lack of fight after a costly 1-0 defeat at Everton extended a damaging sequence of results away from home. 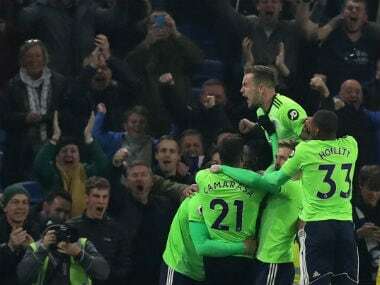 Unai Emery's team on Sunday missed out on the chance to move into third place in the Premier League, above Tottenham, in the race to qualify for next season's Champions League, conceding in a 15th consecutive top-flight away game for the first time since February 1985. 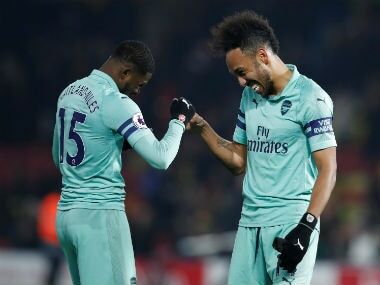 Arsenal have won 14 out of their 17 Premier League home matches this season but they have won just once on the road in the league, at relegated Huddersfield, since late November. Despite the problems, Sokratis said he did not feel the club's poor away form was becoming a mental hurdle. "I don't think so because if you see big teams like (Manchester) United and Chelsea, they also lost a lot of points. It is very difficult. 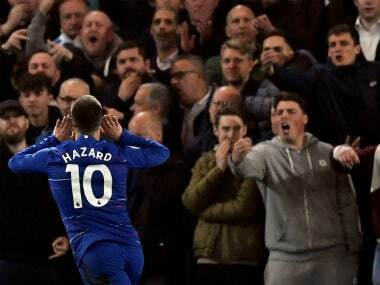 We are in the Premier League and the other teams are strong," he said. "I don't have a reason. Other teams are the same, some days good, some days bad. We have to improve and look towards the next game. But I think we didn't have the same fight (as Everton) so we didn't win a lot of battles and we conceded a goal which was a little bit easy," added the defender. 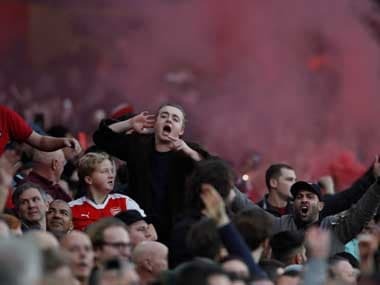 A top-four place remains in Arsenal's hands but they will have to do without Sokratis for the away game at Watford and the visit of Crystal Palace as a 10th booking of the season means he will serve a two-match suspension. "Of course (it is frustrating). I like to play every game, to be there to help the team but it is not in my hands. I hope that Laurent Koscielny (injured for the trip to Goodison Park) is coming back. We need to win at least another four games and then we will see if we are in the top four," he added.